A couple days ago at Dell World, Microsoft and Dell announced a new addition to the Cloud Platform Suite (CPS) portfolio. For those of you who are familiar with CPS, there are two flavors now. The previous edition, which was a 1 to 4 rack solution, is now being referred to as CPS Premium. The newest edition, which starts at 4 nodes and scales to 16, is known as CPS Standard. As Microsoft rolled out CPS Premium 1 year ago, it was another attempt to provide this type of a solution to customers. Previous attempts did not go so well for Microsoft, but then again they didn’t have Satya Nadella leading them. The premium solution was more so targeted towards Service Providers and although it seemed like quite a nice solution, it really was cost prohibitive for most small to mid-sized organizations as well as some enterprise customers. You could only purchase the solution as a rack and most customers are not going to invest that much money in a solution that may not be fully utilized. In addition, 2 miles of cable per rack with a multi-million dollar price tag, thanks, but no thanks. Over the past year Microsoft listened to the feedback from their customers, partners, and community members and CPS Standard came to fruition. Simply put, a scaled-down version of the premium offering at a more attractive price point allowing the customer to grow on their terms. CPS Standard starts with 4 nodes (supporting up to 100 VMs) and scales to 16 nodes (supporting around 400 VMs) one or more nodes at a time. It includes Windows Server 2012 R2, System Center 2012 R2, Windows Azure Pack (WAP), and utilizes Azure for backup, DR, and Operational Insights. This is being referred to as an Azure-consistent, integrated system for hybrid cloud. I would beg to differ on this comment as the consistency between WAP and Azure is not there, yet. Actually the only thing that is consistent is the look and feel of the portal, if using the v1 portal. The real consistency is supposed to come with the next release of WAP called Windows Azure Stack (WAS). How do you like that acronym? I just made that up. 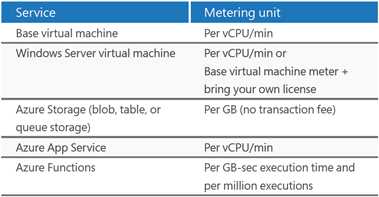 Who knows maybe something like Azure Consistent Stack will evolve. Uh… Royalties? Dell states that, “Currently no other company has a hybrid cloud solution that is validated with Microsoft Cloud Platform System Standard. We are first to market and other competitors will not enter the market with a validated solution for several months to come.” This is somewhat of a bloated statement in that no other competitors have had the chance since it was just announced. However, there are other turnkey, purpose-built, pre-validated, private cloud solutions including Azure Pack with hybrid capabilities out there. One in particular is an offering by Groupware Technology called “LIGHTHOUSE” built on Enterprise grade hardware and architected to accelerate innovation and drive IT efficiency with a great price point. For additional information click here. Dell is providing single-point of call, full support on the CPS solutions with escalation to Microsoft as needed. In addition, they are offering a dedicated managed service as an option. As of October 21 Dell is taking orders. It will be interesting to see if Dell plans to keep this all to themselves or they open it up to their channel partners. If the previous 1-2 yrs is any indication, Dell is becoming more channel friendly. So whether you fancy the Microsoft/Dell CPS Standard or a similar solution like Groupware’s LIGHTHOUSE, now is the time to start having those conversations with your business units to see how you can innovate past your competition. Overall I think that Microsoft and Dell are on the right path. In my personal opinion I feel that the whole private cloud adoption will take off once we have consistency with Azure Stack and Azure. This post is of my own opinion and in no way reflects the opinions of any parties mentioned.